Free spirit Tori Stremme's only goal each day is to capture perfect photo opps…and to torment Brody Rockford, the man who broke her heart with flimsy excuses of her missed dates and competitive spirit. 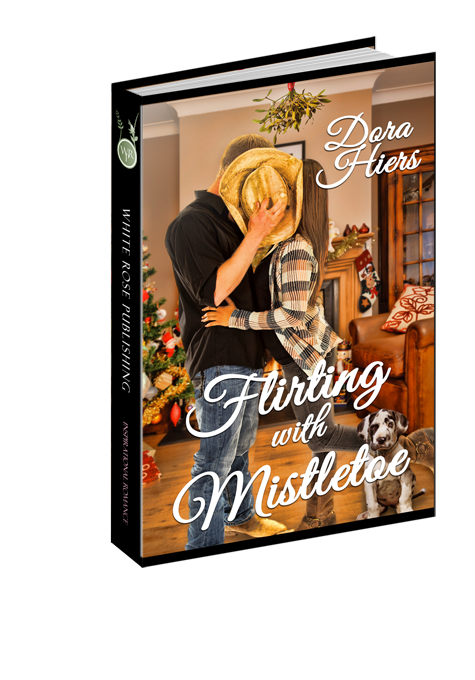 Now, they just avoid each other, but that’s not easy with two sets of parents who shove them together, and her gangly Great Dane pup, Mistletoe, appears to be a conniving matchmaker, too. Brody’s days are scheduled to the last second. Volunteer firefighter, park ranger, and part-timer in his family's antique shop, he doesn't have a spare minute to worry about accident-prone Tori, but he can’t seem to shake her sweet, generous spirit or dodge that rambunctious giant puppy of hers. When Tori’s offered an opportunity to advance her career and shoot her name to international status in a DC gallery, will Brody’s love be enough to convince her to stay or is he too late?